Colour Me Pop – Can You Help Track Down Missing Material? During its short life, BBC 2’s Colour Me Pop showcased some of brightest lights of British rock and pop music in glorious colour. 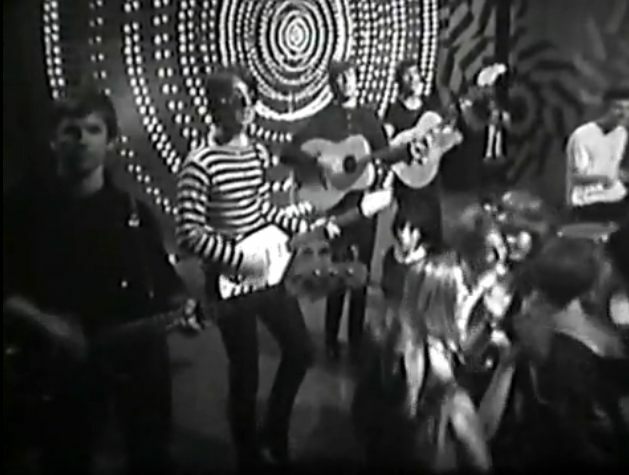 Between June 1968 and August ’69 51 editions of this pioneering music show (a spin-off of BBC 2 arts magazine Late Night Line-Up) were made, with era-defining groups such as The Kinks, Caravan and Free performing half-hour sets. Today, Colour Me Pop would be seen as providing a a treasure-trove of material from the cream of the UK charts, if all but a few editions hadn’t been wiped long ago. In total, five editions remain intact within the BBC archive – The Small Faces, The Moody Blues, The Move, Trapeze and an unscreened programme showcasing The Chambers Brothers. Apart from that there are a few tantalizing clips from the Bonzo Dog Doo-Dah Band edition and film inserts from the Clodagh Rodgers/Honeybus edition, according to the show’s entry on Wikipedia. Music enthusiast A. J. Smith is currently researching Colour Me Pop and has helped recover precious audio recordings of missing shows during the course of his work. He told Wiped: ‘I’ve been researching CMP since December last year, with a view to hopefully gathering enough information for an absorbing (magazine) article. ‘To this end, I’ve been trying to track down and interview anyone who appeared on or worked on the show, to find out more info and possibly to recover lost material from the show. ‘So far, most of the artists I’ve emailed who appeared on the show can’t remember much, (with the exception of Peter Giles of Giles, Giles and Fripp) but, after posting about my research on the Mausoleum Club forum, a member managed to put me in touch with BBC sound engineer Michael Cotton, who worked on CMP and could remember a lot about it. Mr Smith is now trying to track down CMP’s director, Steve Turner, and is appealing for anyone who might know of his present whereabouts to get in touch. He continued: ‘My number one priority for future research is to track down Steve Turner, who would remember the most about the show. ‘He was last heard from working at Central TV in the early ’90s and is almost certainly retired by now, as he must be, by my reckoning, aged 72 at present. Wiped wishes Mr Smith all the best with his research and missing episode hunting.